This is a quick and easy dish, perfect for the potluck or making a big pan so you can enjoy the leftovers. 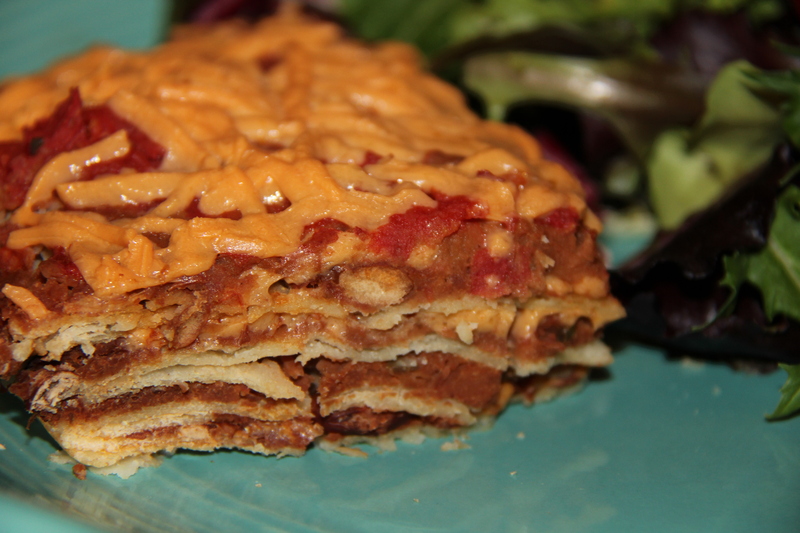 Its layers remind me of lasagna, but the taste is distinctly Mexican. Lightly grease a 9 x 13 glass baking dish and layer 8 tortillas across the bottom. Spread a layer of refried beans across the tortillas and spread a layer of salsa on top of the beans. Sprinkle lightly with cheese. Repeat layers, making the top layer the most generous and bake in oven at 325 degrees until cheese is melted and all ingredients are hot. (30 – 45 minutes). Cut into squares and top with fresh cilantro. I also made a version with a layer of mashed sweet potatoes. Hubby didn’t like it as much, but I loved it. Experiment with different layers and please share if you find a good one! 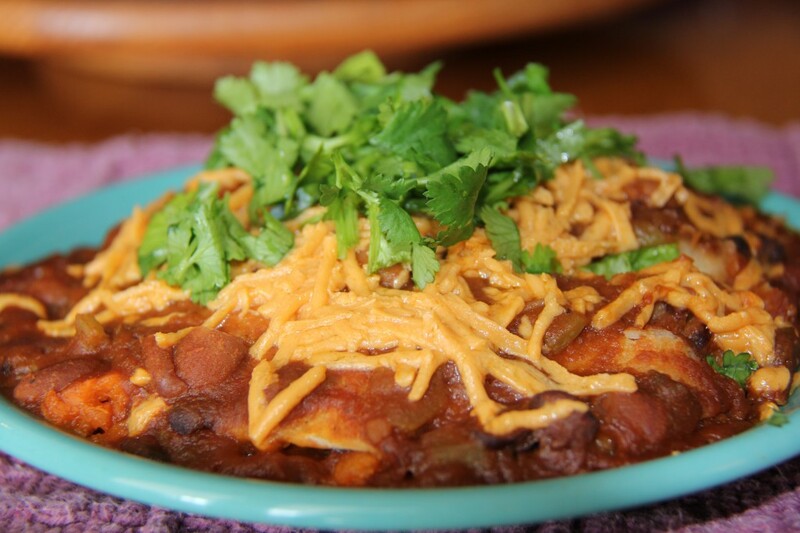 This entry was posted in main dishes, Meals in Minutes, Recipes and tagged beans, gluten-free, healthy, Mexican, quick gluten free meal, quick vegan cooking, salas, tortilla, vegan cooking, vegan potluck, vegan recipes. Bookmark the permalink.